Our mission is to create opportunities for building friendships based on respect and mutual understanding among people of all races, cultures and faiths. ہمارا مشن تمام نسلوں، ثقافتوں اور مذاہب کے لوگوں میں احترام اور باہمی تفہیم پر مبنی دوستی کی تعمیر کے لئے مواقع پیدا کرنا ہے. Notre mission est de créer des opportunités pour construire des amitiés fondées sur le respect et la compréhension mutuelle entre les peuples de toutes les races, cultures et religions. The park is a living monument to and catalyst for inspiring the human spirit to seek out, begin and grow friendships through wondrous play, cooperative experiences and human interchange*, where cherished commonalities are celebrated, and those things unique to every race, culture and faith are discovered, explored and respected, to the end that friendships are celebrated, begin and flourish, making the world a safer and more joyful place. 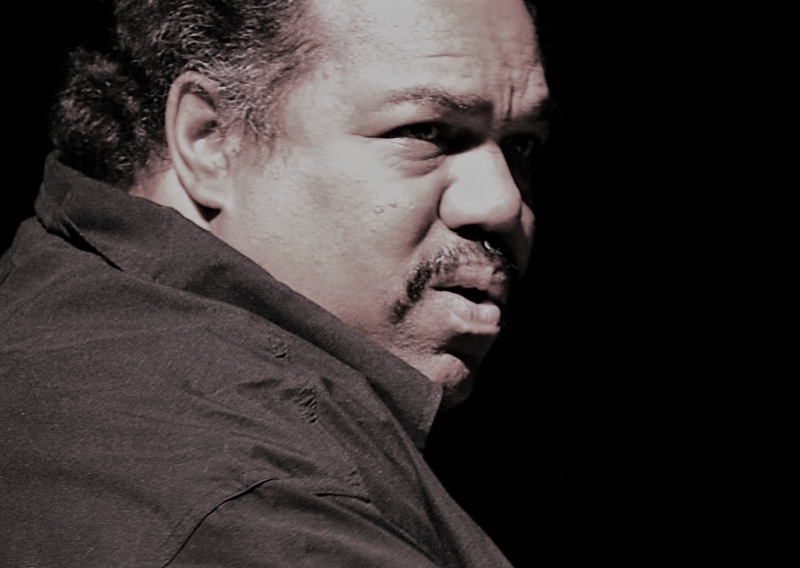 NOW RESIDING IN Silver Spring, MD, Chicago native Daryl Davis graduated from Howard University with a degree in Jazz. As a pianist, vocalist and guitarist, he performs nationally and internationally with The Daryl Davis Band, he has also worked with such notables as Chuck Berry, Elvis Presley’s Jordanaires, The Legendary Blues Band and many others. While music is his fulltime profession, seeking to improve race relations nationwide, has become a fulltime obsession. Davis has received the Elliott-Black and MLK awards as well as numerous other local and national awards for his work in race relations. He lectures nationwide and abroad on the topic. • First Annual Memphis Friendship Foundation Award Banquet. • First Friendship Scholarship for High School Seniors sponsored by Starbucks. What happens when a mosque moves across the street from a church in the Bible Belt? 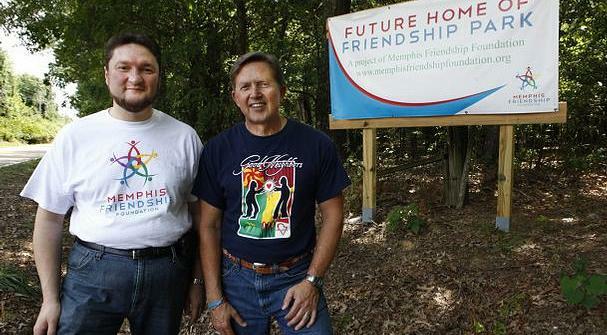 An unusual and rare friendship has developed between the people of the Memphis Islamic Center and Heartsong Church. This special relationship began with a simple act of neighborly love. When Heartsong became aware that Muslims had bought the land across the street from them, a sign was quickly put up welcoming the Islamic Center to the neighborhood.  We would love to talk with you about Friendship Park and the plans we have. Recently, Tom Norquist, a speaker at a national conference, told a huge audience that he believes “play” will someday be used as a big contributor to world peace, and that he had met some people in Memphis who were hot on the trail of making that happen. 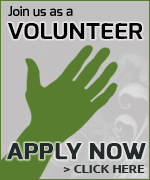 Please consider a donation to Memphis Friendship Foundation. 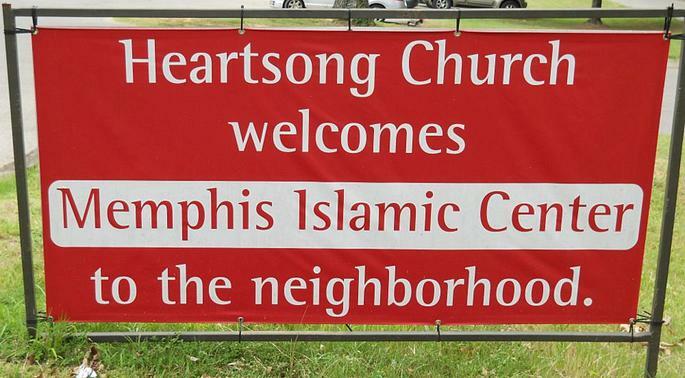 Donors join Heartsong Church, Islamic Center in Memphis in support for shared park. On God’s Side: Everyone claims God for their side, but who is on God’s side? Kelly Douglas for Commercial Appeal. Bianca Phillips for Memphis Flyer. Park Friends – Cordova mosque and church plan eight-acre Friendship Park. Clay Bailey for Commercial Appeal. 2 faiths + 1 park = harmony: Heartsong, Islamic Center join project. Chris Wragge for CBS News. Tennessee Church Islamic center embrace post 911. Jamel Major for Action News 5. Cordova church welcomes new Islamic Center to the neighborhood.